Now available for both the Apple and Google Play App stores. Stay up to date with information for vendors and guests to Texas’ finest, Premier Gun Shows. 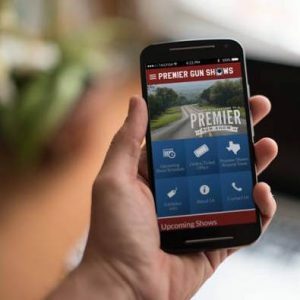 With weekend shows across the Lone Star state, the Premier App provides show dates and times, parking information, helpful vendor information, and much more. The App is free and available today on the App Stores. Click one of the buttons below to install today.